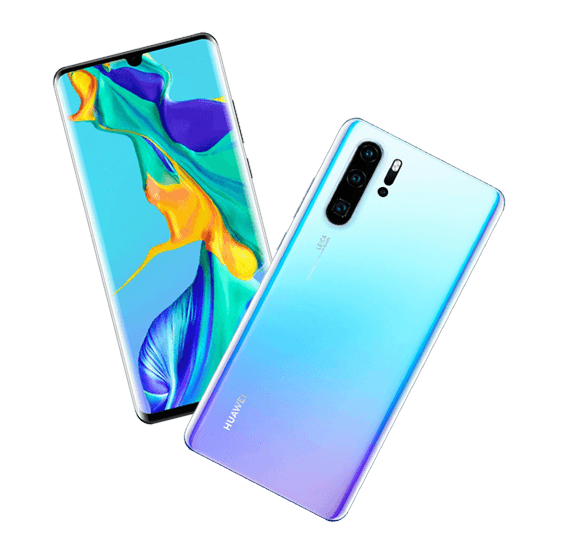 We offer specialist, comprehensive cover for the Huawei P30 & P30 Pro at fantastic prices, and have a dedicated and experienced in-house customer care team. The Huawei P30 series is the latest release from one of the biggest up-and-coming smartphone competitors in the market. Accidental Damage Cover– we’ve got your Huawei P30 covered if you accidentally drop or damage it. As successors to the P20 and P20 Pro, the P30 series has a lot to live up to. With up to 8GB of RAM and 256GB of internal storage, a 6.1-inch FHD+ curved OLED screen and a 6.47-inch one for the Pro, minimal bezel and a tear drop notch, the P30 range is set to be amongst the best releases of this year. Running on the super powerful Kirin 980 chipset and featuring an in-screen fingerprint scanner, a triple-lens camera on the P30 and a quad-lens camera on the P30 Pro, the series is incorporating some of the latest technological advancements. The phones offer between 3,650-4,200mAh battery, a feature called SuperCharge that provides 70% of juice in just 30 minutes, a 32MP selfie camera and emit sound from the display itself. Coming in Amber Sunrise, Pearl White, Black, Aurora and Blue Crystal colours, these devices range from £699-£1099, and while not as expensive as the top tier Samsung and Apple flagships, they are still at a higher risk when it comes to theft and damage. With this in mind, if you have chosen to upgrade your phone to the Huawei P30 or P30 Pro, you'll want to make sure it is protected straight away from life's little accidents. We’ve made it quick, simple and easy to protect the gadgets you love most and ensure that you’re not without them for long, should disaster strike. Accidents happen. But when they happen to your new Huawei P30, our comprehensive cover gives you peace of mind and financial reassurance. Nothing attracts water quite like high-tech gadgets. Protect your P30 against liquid damage and we’ll get it repaired or replaced. Dropped or knocked your Huawei P30 and the screen is cracked or not working properly? Don’t worry, we will get it repaired! We’ll cover your Huawei P30 if an electrical or mechanical fault occurs outside of its warranty period. The Huawei P30 series comes with an amazing battery capacity, an advanced camera setup and a beautiful, high-end design, so we know why you would opt for this premium handset. Make sure you protect your investment with the best possible Huawei insurance. Here at loveit coverit, we offer inclusive cover for loss, theft, liquid damage, accidental damage and more, so you will never have to part from your Huawei P30 for long, should the worst happen.